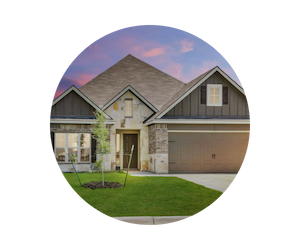 Welcome to South College Station's best collection of new home builders and home plans. Southern Pointe is a vibrant neighborhood, connected by more than 30 acres of parks, trails and open space, and a reserved business district area. We're building Southern Pointe to be a luxurious master planned community with affordable homes where residents can experience Southern Living - Texas Style - at it's BEST in College Station. College Station ISD was assigned an "A" rating for student achievement by the Texas Education Agency for 2018. A pet-friendly master-planned community in College Station. Our Southern Pointe development team and new home builders have created a neighborhood that fits the needs of its four-legged residents. Southern Pointe residents enjoy one of College Station's best communities for walking, with a master plan that calls for 10 miles of trails, meandering through more than 30 acres of green space. Southern Pointe is an incredible community just minutes away from everything. 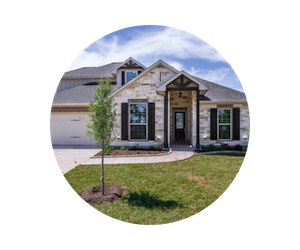 The new homes community in College Station offers affordable houses with incredible amenities. The tranquillity of Southern Pointe is hard to find elsewhere in College Station. It's quiet, family friendly, and surroundings of outdoor trails and ponds, give no shortage of peaceful community lifestyle. If you love the outdoors, then you'll absolutely love Southern Pointe! During your trail walks, runs, and bike rides, enjoy the tranquil and peaceful ponds throughout Southern Pointe. Southern Pointe has set aside a reserved business district to better serve the neighborhood and the College Station Community. We will update the site as more information becomes available. The Southern Pointe Community offers quick access to State HWY 6 - allowing home owners to access their favorite College Station entertainment hotspots, shopping destinations and Kyle Field. 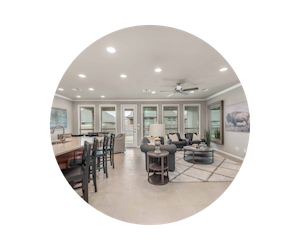 Southern Pointe home owners will conveniently enjoy incredible dining, medical facilities, groceries and doing business in College Station, TX. 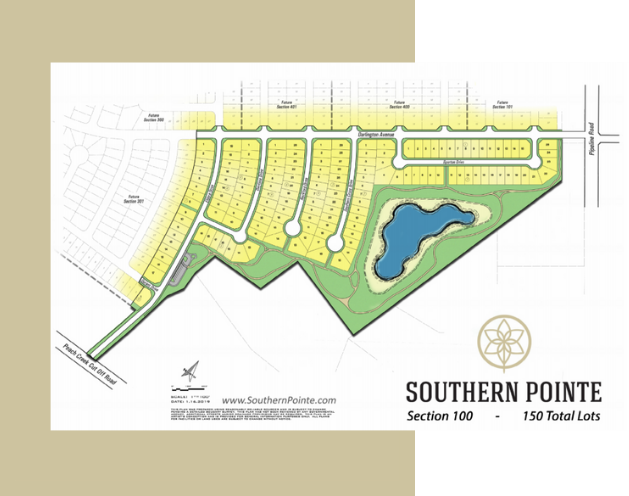 Southern Pointe College Station is the continuation of master plan community refinement. Our local development team has partnered with seasoned home builders who share our vision to provide the best amenities, thoughtfully designed floor-plans, and incredibly affordable price points. The Southern Pointe College Station community is the best master-planned neighborhood in College Station, Texas. With new homes available from the $200s, SOPO is positioned to be the community of choice for those seeking to buy a new house in College Station. Our development team has designed the Southern Pointe community to be the premier neighborhood for the select looking for homes and communities designed with value, not only in the structures that protect them but in the homes built within those walls. The Southern Pointe Development team has years of experience, extensive master plan community research, and local College Station knowledge. The pouring in of thoughtful design comes with the continuous desire to provide the best communities in College Station. Ready to build your home in College Station? The home builders in Southern Pointe offer move-in ready homes or the option to select your homesite and build your custom home from the ground up! For the most up to date availability, we recommend you contact the builders directly to see what homesites, homes, and floor-plans are still available. "I love the thought that went into making Castlegate the community that it is. We moved into the neighborhood 5 years ago and I can't imagine life without the trails. We take advantage of that feature as a way to connect with each other and the kids." "10 years ago seems like it was only yesterday. I wanted to be back near Aggie Football, my wife wanted the kids to attend great schools. Living in Castle Rock gave us both what we wanted. What we didn't anticipate, was the new friendships we'd make living in such a beautifully developed community." "Growing up, I remember this being pasture land. I couldn't have dreamed how much growth would come to South College Station if I had tried. I'm excited for the businesses that Southern Pointe is going to continue to draw to our side of town."